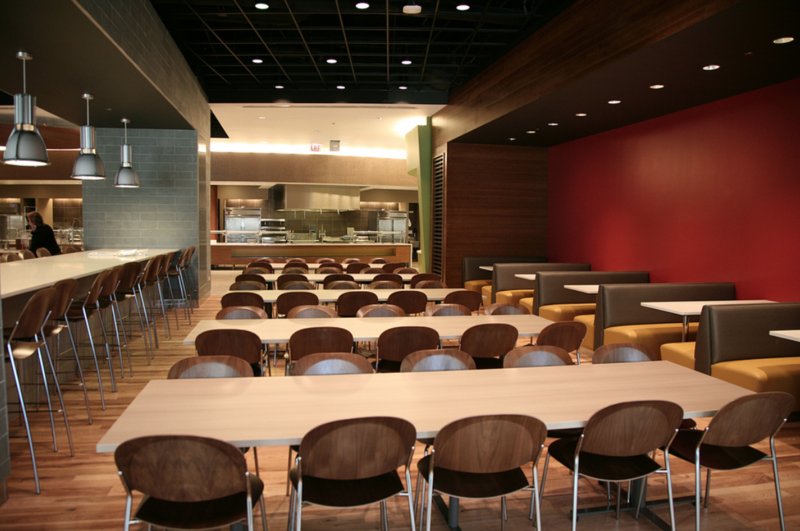 Courtesy of Loyola University Chicago Damen Dining Hall, Damen Food Court and Ireland's Pub 10 closed Wednesday following a maintenance issue. Some areas of the Damen Student Center on Loyola’s Lake Shore Campus (LSC) closed after a mechanical issue, according to a tweet posted on the Damen Student Center’s Twitter account Wednesday morning. Damen Dining Hall, the Damen Food Court and Ireland’s Pub 10 are closed until further notice, according to the tweet. The closures were due to a mechanical issue in the kitchen area of the Damen Student Center. Associate Director of the Student Complex — including the Damen Student Center — Bryan Goodwin said the sump pumps in the Damen kitchen backed up, causing some flooding in Ireland’s Pub 10. Goodwin said the Damen Food Court and Dining Hall were closed to prevent further damage. Maintenance is working on fixing the issue and the closed areas are expected to re-open tomorrow, according to Goodwin. Campus dining, including De Nobili and Simpson dining halls on the LSC, remain open, according to the tweet. Associate Vice President of Facilities Kana Henning confirmed details about the mechanical issue and closing. Communications Specialist Evangeline Politis confirmed the incident stemmed from pump issues in the Damen Student Center’s basement in an email to The PHOENIX.